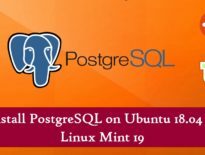 Linux, Nginx, MariaDB, and PHP (famously known as LEMP stack). Nginx is a free, open-source, high-performance HTTP web server and is known for its stability, simple configuration, and low resource consumption. 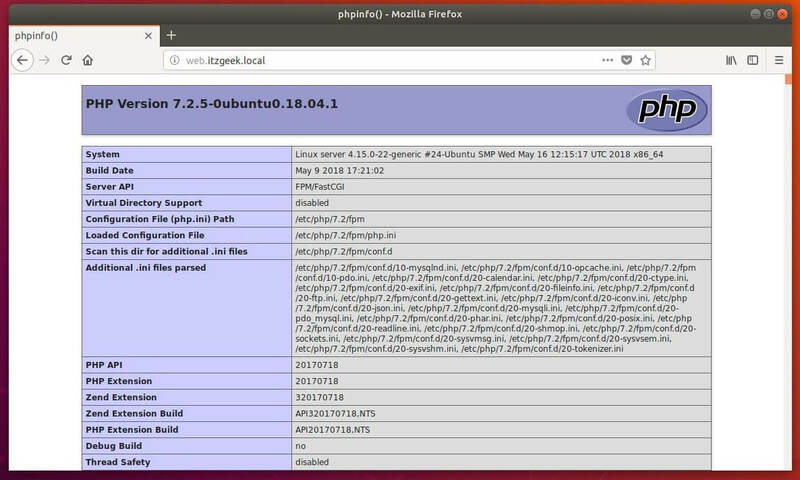 Here, we will see how to install LEMP Stack on Ubuntu 18.04 with PHP support (via PHP-FPM) and database (MariaDB) support. PHP-FPM is an alternative PHP FastCGI implementation, and it has a lot of additional features useful for busier sites. Proceed to the installation of EMP (Nginx version 1.14.0-1, PHP version 7.2, MariaDB version 10.1.29) on Ubuntu 18.04. Download the Nginx repository signing key from the official website. Add the Nginx public key into the system. Open up a web browser and visit the below URL. You should see the Nginx default page and this confirms you that the Nginx is successfully installed on the server. Nginx’s default document root on Ubuntu 18.04 is /usr/share/nginx/html/ and the configuration files are found under /etc/nginx/ directory. 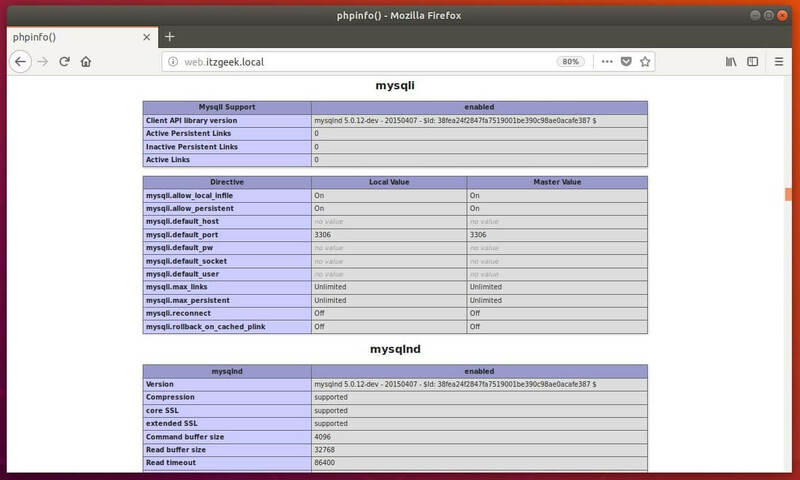 Install PHP through PHP-FPM (PHP-FastCGI Process Manager), an alternative PHP FastCGI implementation. It provides additional features useful for sites bigger in size. Install php-fpm by issuing the following command. Edit the respective php.ini file according to the installed PHP version. PHP-FPM listens on the socket /var/run/php7.2-fpm.sock by default. To make PHP-FPM use a TCP connection, open the file /etc/php/7.2/fpm/pool.d/www.conf and change the listen parameter. First, create a virtual host configuration file for our domain: /etc/nginx/conf.d/web.itzgeek.local.conf. Create the root directory for our virtual host. For testing the PHP-FPM support, place a PHP file onto the document root of the created virtual host. Save and close the file. Use Ctrl+x and Y and then Enter for saving the file. Create a host entry for your domain (web.itzgeek.local) in the /etc/hosts file in case your environment doesn’t have DNS server for name resolution. Add a host entry something look like below. Open up your web browser and type your domain name in the web address. If you scroll the page further down, you would see the support of MariaDB.